Staining of mouse peripheral blood lymphocytes with RAT ANTI MOUSE CD26 (ABIN120302). Specificity This antibody recognises CD26, which is also known as thymocyte-activating molecule (THAM). 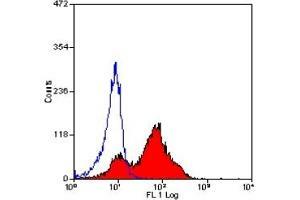 Application Notes Flow Cytometry: 1/50- 1/100, use 10 μL of the suggested working dilution to label 106 cells in 100 μL. ELISA.